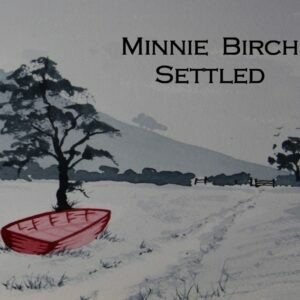 Minnie: Settled is one of my favourite words. In one way it conjures up this idea of being at peace and secure, and on the other hand it has these connotations of giving up, settling for second best or ‘settling the score’. The title track from this EP is all about how an unconventional love can still be ‘settled’. At the time I was surrounded by people who were ‘settled’ and it seemed like my love wasn’t… and yet it was. It’s a song about how the magic bits of early love fade away but you still want to be with that person. That’s my idea of ‘settling’. Floundering is, to me, the exact opposite of being settled. Floundering means to not be quite sure, to be out of one’s depth, to be in the dark, like a mermaid upon the shore. It was a deliberate follow up to Settled. My dad’s artwork between the two records tells a story too. 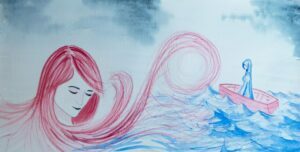 The first is a woman looking out to sea, her boat on the shore, she is ‘settled’, whereas in floundering she is in the boat on a wavy ocean heading out on adventures. It was really cool to work with Dad on this. He did such a beautiful job of the artwork. I am looking forward to making a third album just to see where he takes the boat in his pictures! Leslie: Can you say a bit more about whose voices and what kind of stories appear your songs? 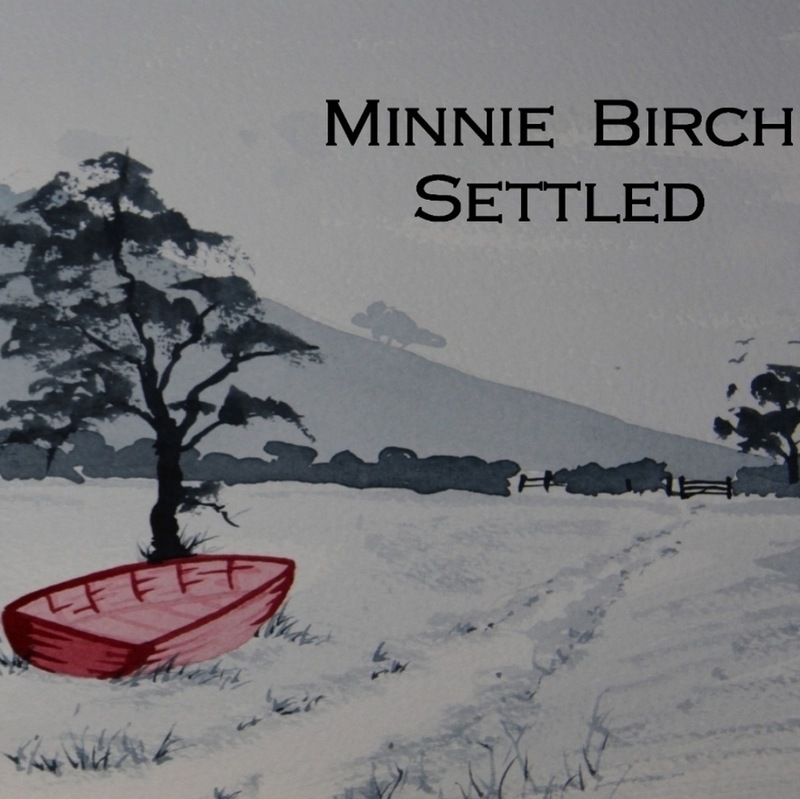 Minnie: I take a lot from nursery rhymes and folk tales. I studied them for my Master’s degree and have worked for years as a children’s librarian so they are sort of ingrained in my psyche. I think they come out without me realising. My song Dagger for example is directly influenced by Sleeping Beauty. The lyrics include: ‘I’d be locked up for 1000 years or more. And that’s when the forest would grow up around me’. Lightning, a song I wrote about trying to put things back together, lifts an idea straight from Humpty Dumpty: ‘This is bricks and mortar, it is not your men and it is not their horses.’ Also my song Delicate uses lines from Little Red Riding Hood: ‘It’s just all the better to see you with, to hear you with, to eat you with’. Leslie: Who are your musical influences, and why? 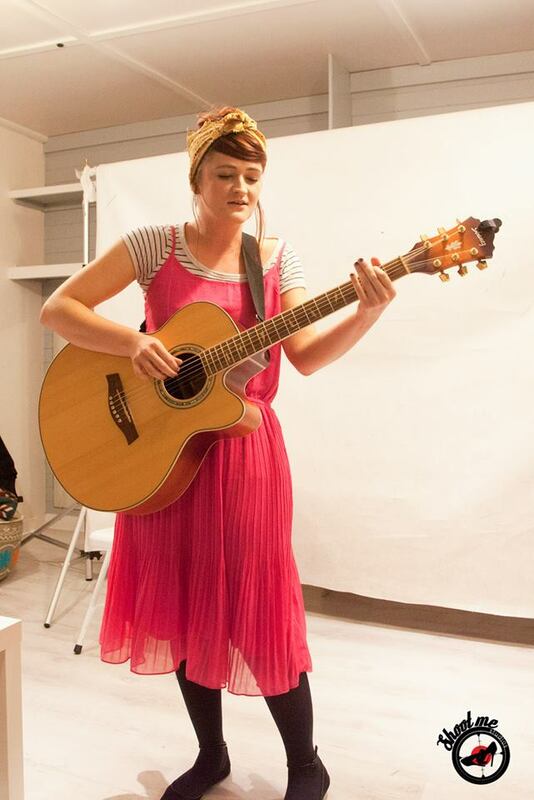 Minnie: My grandad was always encouraging us all to be musical, I wasn’t so interested in learning George Formby or old-time war songs on a ukulele when I was 11 but it has helped to shape how I write music. I didn’t appreciate it then but I do now. I hope I can pass my music on in that way too. So many songs come along and just hit you right between the eyes. At the moment Tove Lo’s Habits is the song I put on late at night and cry to. It’s one of those songs you hear and think ‘I should have written that, because I felt every single bit of it’. Leslie: How do compositional ideas come to you? Minnie: Usually the story comes first, the lyrics, then the music, at least that’s how I wrote my album – mostly late at night driving in my car. I put my phone on the passenger seat and just tell it countless stories and ideas, then sing at it. At some point later I sit with my guitar and turn it into songs. I’d hate someone to listen to the recordings on my phone! Lately, I’ve been writing the music first with layered instrumentation to create an atmosphere. I suppose it comes from listening to too much Oh Sister, Kyla La Grange and Sophie Jamieson who are all lyrically brilliant as well as creating an amazing world with their sound. I want a bit of that. Leslie: What happens when you rework a composition? Minnie: I throw a lot of stuff away, all the time. Sometimes I will find old recordings or old lyrics of mine and they aren’t so bad – or at least they are a nice memory for me. But I rework stuff all the time. I get very excited when I write new songs and I just want to share them straight away! But I try to hold back and sit on them for a while to make sure I don’t want to change them. Leslie: You work with various musical instruments. How does the choice of instrument change the artistic process? Minnie: When I worked on Floundering with Spare Room Recording, the multi-talented Hannah and Nick Harris helped me to take my ideas and actually realise them. What I know is that I do write differently depending on the instrument. Ukulele and guitar are always my first choice. If I write on keyboard or piano, which I’ve only done a couple of times, it is much darker. I just associate piano with ballads and sadness. I also find that piano keys are heavy (or at least to someone who naturally plays guitar) so I feel I have to smash away at them, and then my lyrics follow and they are angrier too. My song Dagger is a good example of that, I think it is my most violent song. I’ve recently taken up cello, and it’s been fun to start writing for that. Leslie: How do particular places or people appear in your music? Minnie: I write a lot about the ocean and the forest. The ocean because of a sailor who features a lot in my songs, and the forest because I studied Fairy Tales at university so I take a lot of inspiration from Brothers Grimm, possilbly too much. I probably owe them royalties. Leslie: Which musical pieces of yours do you think of as the most important, most seminal, and why? Minnie: Glitter is a really simple little song but it gave me some great opportunities. It is the song I recorded with Nick and Hannah when they asked me to come and try out their studio for free. That recording turned out to be a song that started my whole journey to making my album, Firstly, in the obvious way that it put me in that studio, with these two wonderful creative people I wanted to work with again. Secondly, it also received a lot of radio play and support, which meant more people found me and my music and I got to make a music video for it with DIY Media, who helped me to create this beautiful video starring the wonderful actress Barbara Bone. And maybe it sounds a bit lame but it is so amazing that this one little song bought me so much happiness because I wrote it about the saddest thing. I can’t explain how overwhelmingly lonely I felt when I wrote that song. That’s the wonderful thing about writing songs. It’s like you actually get to turn those sad things into something great, meet new people, make new friends and do new things. Leslie: I know you’re involved with a prison charity. Could you tell us a little about that side of your creative work? Minnie: Storybook Dads is a national charity. I heard about their work and just thought it was a great project. I approached my local prison to volunteer on their project, if they had one. They didn’t have one but said I could set something up if I wanted to. So I did, with a lot of help from the prison librarian, Sue Rickard. And we are still going today. Leslie: What are the deeper concerns to be found behind your music? Minnie: Mistakes. Mistakes and the sliding door moments you have in life where a different choice could have changed everything. I think that’s partly being involved in a charity project in a prison for the last 9 years. I am surrounded by sliding door stories all the time and I am obsessed with them. I like the saying ‘There, but for the grace of God, go I’. Prison makes you think that a lot. I think it almost every single time I am there. If you enjoyed this blog, you can read an interview with another musician, Daria Kulesh, here. Really enjoyed your blog, great to hear about Minnie Birch, I am playing the same stage as her at Wilkstock and Balstock in September. I’m really glad you enjoyed it. I’ll certainly listen to your work. thanks Leslie, it’s always interesting to hear how other songwriters bring their ideas to completion. I’d also recommend Steve Warner! Ah, now I know you write music I shall listen to your work as well as Steve’s! Thanks.